IsaGel No rinse Instant Hand Sanitizing Gel, manufactured by Coloplast, is a no-rinse instant antimicrobial hand sanitizer that kills 99.9% of most microorganisms such as viruses, bacteria, and germs in less than 15 seconds. Most people have heard of hand sanitizers as they are extremely convenient in the cleansing of one's hands when soap and water are not readily available. 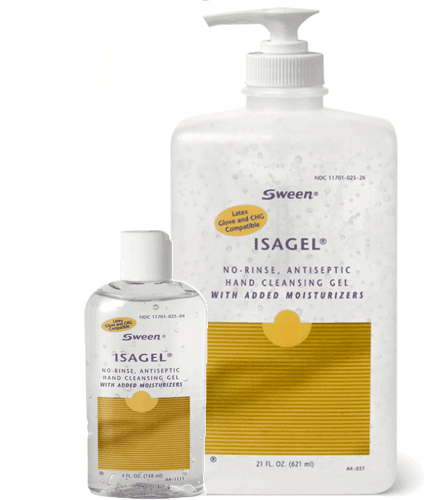 The IsaGel No Rinse Instant Hand Sanitizing Gel available for SALE at Vitality Medical is a hand sanitizer with the same cleansing ability and added moisturizers. 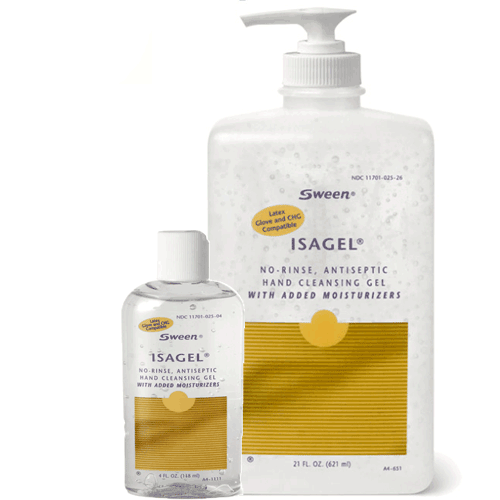 Using hand sanitizers can sometimes leave the skin dry and uncomfortable, IsaGel Hand Sanitizer has moisturizers to soothe and keep hands feeling soft and smooth after cleansing. This skin cleanser features an additional benefit of being latex glove compatible. Often when using sanitizers before gloves there is the risk of not removing enough bacteria from the hands prior to putting on the gloves causing the gloves to also become contaminated. IsaGel Hand Sanitizer kills most microorganisms in less than 15 seconds and is CHG (Chlorhexidine Gluconate) compatible. CHG compatible cleansers have been proven with studies to remove more bacteria than with other cleansers. According to Coloplast the IsaGel Hand Sanitizer is effective against the well known H1N1 virus. 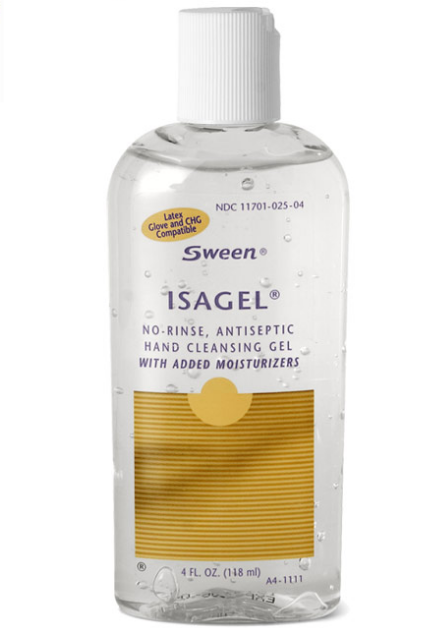 Hand hygiene can be very effective in prevention of a lot of illnesses and the IsaGel Hand Sanitizer is a great way to keep your hands clean, disinfected and sanitized when soap and water are not readily available. 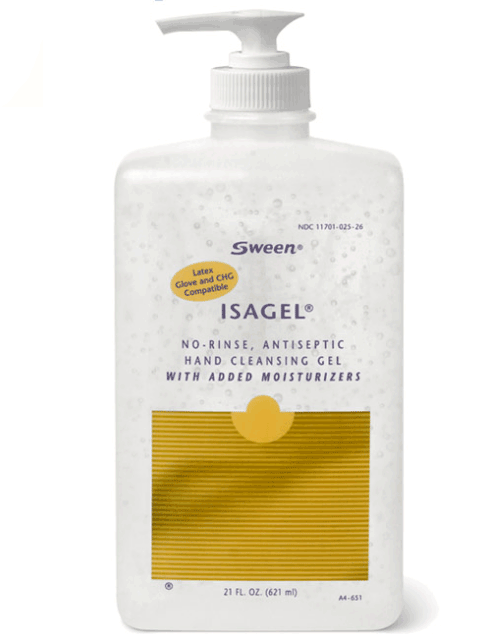 BUY IsaGel No Rinse Instant Hand Sanitizing Gel from Vitality Medical today.